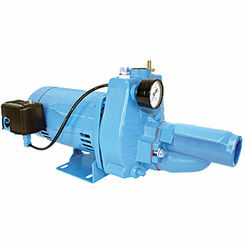 Browse through our selection of jet pumps and find the perfect option for your installation. As an industry leader in pumps, as well as replacement pump parts, PlumbersStock can get you outfitted with a great discount jet pump online. 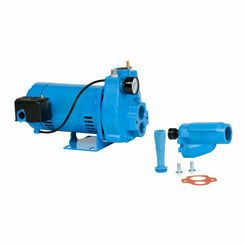 Many use jet pumps to deliver water to cottages, cabins, and irrigation irrigation systems. Save on all jet/well pumps with the plumbing and irrigation experts at PlumbersStock. 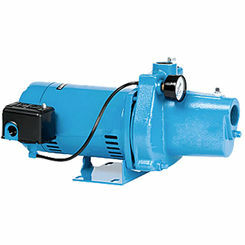 As a surface-mounted well pumps, jet pumps are named for the manner in which they operate (as opposed to their application). 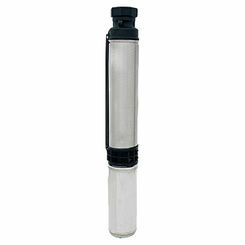 Their most common use is to reliably transport water to a remote home (cottage or cabin), or within a sprinkler system. Jet well pumps are made of three working mechanisms: the nozzle, throat, and diffuser. Power fluid at high pressure (low velocity) is converted to low pressure (high velocity) by use of the nozzle. As the flow rate of the power fluid increases, the pressure at the entrance of the throat becomes lower. This low pressure allows water to be drawn in from the well. The water is pumped by the low pressure jet into the throat. At the throat, the combined power fluid and water is slowed by the diffuser. As the velocity decreases, the pressure increases to allow it to pump the water to the surface. Although jet jumps are a type of modified centrifugal pump, they are less efficient due to friction loss. However, they can be made more efficient when working with combined media that includes gases or in well conditions that involve turbulence. The housing for a jet pump can be made of a few different materials, including plastics such as polypropylene (PP), polyvinyl chloride (PVC), or polytetrafluoroethylene (PTEE). Plastics are great materials because they are inexpensive, corrosion-resistant, and chemical-resistant. Steel alloys such as stainless steel are stronger and more scratch-resistant than plastics, and they offer high corrosion and chemical resistance for a slightly higher price. Finally, cast iron is a possible housing material choice which provides high strength and scratch-resistance. There are four types of jet pumps, although the most common two are deep well and shallow well. In addition to these two, there is a convertible jet pump and a miniature version. Deep Well Jet Pump – These are used in deep underground wells. 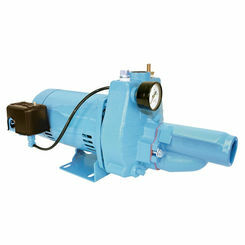 Best for oil wells, these high-volume pumps can transport fluid anywhere from 90 – 15,000 feet in depth. The most common deep well pumps thrust from a maximum depth of 150 feet or 300 feet and use two suction pipes to draw fluid up. Additionally, deep well pumps are submerged inside the fluid of the well. 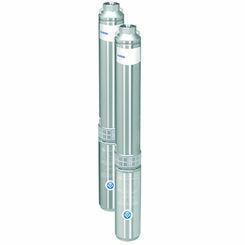 Shallow Well Pump – These pumps are used in wells that are closer to the surface. 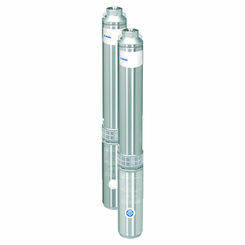 Best for private residential wells, these pumps can usually pump up to 25 feet and are not submersible. The ejectors in these pumps are bolted to the nose of the pump and a single suction pipe is used to draw water out. 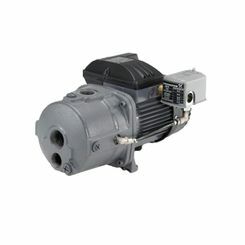 For this pump, make sure it has an overload protection feature that prevents motor burnout. 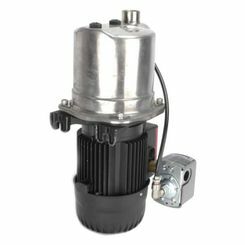 Convertible Jet Pump – Convertible pumps are best used in applications where there is a fluctuating water table. The name “convertible” refers to the fact that these pumps can be used for deep or shallow wells. These pumps come with two suction pipes and are not submersible. 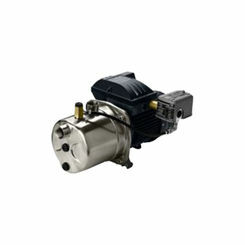 Miniature Jet Pump – Mini ones are used for smaller applications. 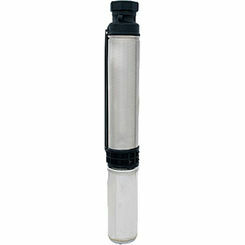 In commercial industries, many aquariums use miniature jet well pumps. 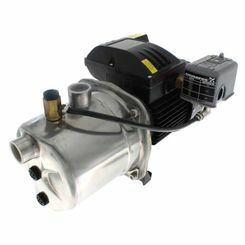 If you need high volumes of fluid transported quickly and reliably, then a jet pump is for you. We carry name brands like Little Giant. Shop with the experts and see why so many choose us over other wholesale companies. For questions about your purchase or installation, or to help you find the best jet well pump, contact our friendly customer service team.